This Excel tutorial explains how to export Excel to PDF with and without VBA, how to export all worksheets to one PDF, and export all worksheets to separate PDF. In Excel, you can easily export Excel to PDF by navigating to File > Save As, in the Save As Type, you can save a file as different file types. Below is the available types in Excel 2013. Unfortunately there is no option to save each worksheet as separate PDF in any built in options, therefore I create this post to demonstrate how to use VBA to export all worksheets to one PDF, and export all worksheets to separate PDF. If you want to know the detailed steps and what the options means, please refer to my another post- How to convert Excel to PDF. 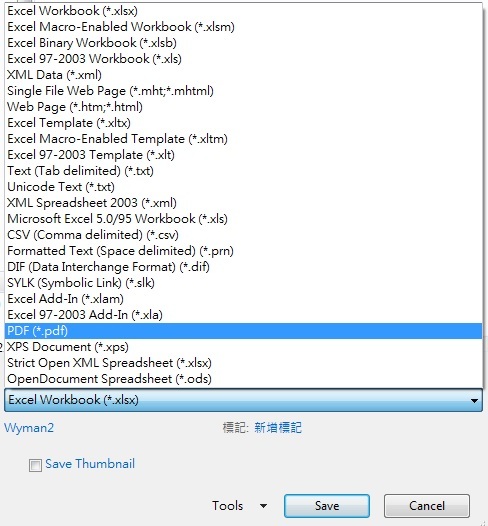 In VBA, you can export Excel to PDF or XPS using ExportAsFixedFormat Method. This Method can be accessed through Workbook, Sheet, Chart, or Range. Type Required XlFixedFormatType xlTypePDF or xlTypeXPS. Quality Optional Variant Can be set to either xlQualityStandard or xlQualityMinimum.Use xlQualityStandard if your file includes picture. The below code save the active worksheet to default location. 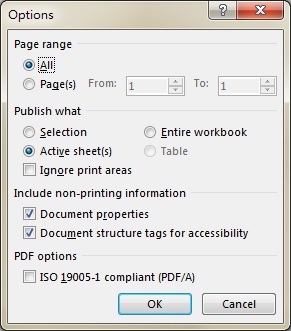 After Macro is run, PDF will automatically open. In addition, I prefer to set Print Area manually beforehand to make sure the area I want to print is as expected. The below code exports each worksheet to each PDF. The error handler is for preventing error caused by exporting blank worksheet. The below code exports two separate PDF, each of them includes specific worksheets.